Delhi Times Fashion Week 2018 is going to start and the leading fashion models appeared on the ramp of the fashion show on the second day of the fashion week. 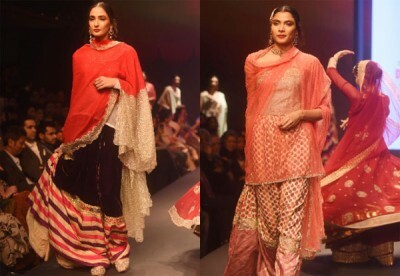 The colorful times fashion week was conducted in the Indian capital city, Delhi. 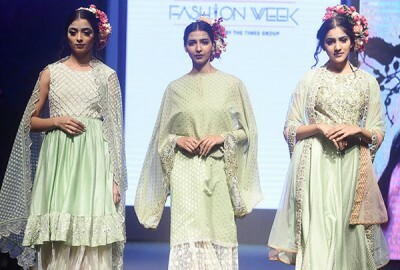 The beautiful models wore the colorful and magnificent dresses and they walked on the ramp of the fashion show and they compelled the fashion loving people to encourage and appreciate them. The dresses of the different fashion houses are prepared for the spring and summer season for year 2018-2019 and they are decorated with the latest fashion styles. The fashion designers picked the right colors keeping in view the likeness of the women. The collections of various leading and well known designers have been prepared and presented in the dream diamond Delhi Times Fashion week. When the models appeared on the ramp of the fashion week and the fashion lovers appreciated their collection. 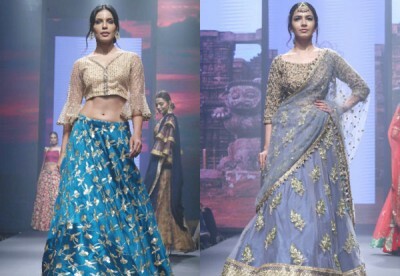 The women wore the attractive colors of the sarees, ghagra and shirts of the collection.